In a short time Shamrock FC's Xtreme Fight Night shows have built a good reputation of interesting match-ups and very exciting fights. XFN4 delivered on that front on Saturday night with a main event kickboxing match between Luke Nelson (Watson's Martial Arts) and Jason Slattery (SCMMA). This was Nelson's first cut to 155. The bout started with Nelson stalking forward and pushing the action around the ring, while Slattery stayed on the outside picking his shots. Nelson landed some good kicks and knees to the body of Slattery, while also catching a few kicks and firing back punches off of them as well. Nelson was able to score a knockdown before the end of the first round, sending Slattery to a knee. The second was more of the same, with knee to the body forcing Slattery to bend a knee once again. Slattery recovered before taking being dropped by Nelson once more time in the round. Slattery knew he was behind and upped the tempo early in the third, catching a kick and sweeping Nelson to the mat. Slattery was able to get another sweep later in what was the most competitive round of the three. Both fighters fought exhaustion but still maintained an entertaining pace. After the third round had ended, the judges declared Nelson the winner by unanimous decision. Lori Andrews out of CMMA Fighting Systems returned to action after an extended layoff to take on late recplacement Tiffany Leichliter from Arkansas in a pro boxing match. Andrews came out flurrying from the opening bell, following Liecihliter from one corner to another with a seemingly never-ending combination until referee John Deuver waved off the fight early in the first. The first professional kickboxing match was between Elmir Kulosman and Kevin Brown Jr.
Brown stayed in front and pressured Kulosman during the first round and had some moments of landing combos against a defensively shelled but very aware Kulosman. Kulosman had a lot of success landing a good number of hard round kicks to the lead leg of Brown as they circled around the ring that seemed to take quick effect. In the second the leg kicks really caught up to Brown, as Kulosman dropped him with one that Brown was still able to stand back up from. Once back on the feet Kulosman threw another to the lead leg that saw Brown hit the canvas and end the fight. Kulosman won by TKO in the second. In a match-up between two competitors returning from long layoffs, SCMMA's Tim Mantle took on ATT Evolution's Kyle Walker in a professional boxing match. Early on Walker stayed on the outside waiting for Mantle to reach, when he did and overextended, Walker threw a hard cross to earn an early knockdown. Once back up Mantle never seemed to fully recover. Walker cornered Mantle in the ropes and secured three additional knockdowns forcing and end to the fight with Walker winning by TKO in the first. The only professional MMA match of the night was between Bo Kunz and James Evans. Things got heated at the weigh-ins the day before, so this one was full of animosity coming in to it. After Kunz caught a kick from Evans and got a takedown, he moved to mount and tried to set up an arm bar. There was too much space in a moment and Evans was able to get back on his feet. Kunz was able to get the fight back down to the mat and get to the mount once more. From there Kunz worked in an arm triangle, got out to the side and forced a tap from Evans, making Kunz the winner by submission in the first round. The amateur portion of the card had two mixed martial arts bouts and four kickboxing bouts. In a battle of heavyweights, Lee Burns took of Matt Matteson in an MMA match. Burns came out firing hard kicks and pinning Matteson in the corner and unloading on him until Matteson hit the mat and referee Tim Francis stopped the fight, giving Burns the early win. In the first MMA match of the evening Edrick Dillard took on Nikk Willyard. Dillard scored an early takedown. After getting up Willyard was quickly taken right back down again. Dillard survived a guillotine attempt and moved to half guard and landed some ground and pound before moving to mount. A scramble saw Dillard threatened by another guillotine and Willyard was able to get back on his feet just as the round ended. The second and third rounds saw Dillard get early takedowns and stay on top as well. In the third Dillard landed some good knees to Willyard's body from this position and moved back to mount once again. He nearly ended it with a flurry from the top, but instead he finished the final round in the position. Edrick Dillard won a unanimous decision. In a very exciting kickboxing matchup Matt Ray came out of the corner very aggressive against Andre's Drew Gigax, chasing him around the ring and having a very high output of offense. Gigax was able to find some select knees in these exchanges, and weathered the initial storm. In the second round the high amount of offense seemed to catch up to Ray's gas tank as his pace drastically slowed and Gigax starting slipping his punches and finding some very solid knees to the body. Early in the third Gigax scored a knockdown that ended the fight, earning him the victory by TKO. Aaron Kuhl was able to score a knockdown in the first round against opponent Eric Williams. Right off the start of the second Williams took a kick in the groin from Kuhl, but he was able recover in a short time and the two had a very back and forth round. Williams landed some very solid crosses in the third round, and a tough Kuhl absorbed them and was able to stay on his feet. A knockdown is an automatic 10-8 round, and with Williams winning the other two rounds this match was ruled a draw when the decision was read. In the first bout of the evening, Ian Havener went after his opponent Sanjin Zigic very aggressive in the first round, blitzing and following him around the ring landing shots and earning a knockdown. When Zigic got back up he closed the round out with some good shots of his own. An accidental groin shot split up the middle of a competitive second round as Havener was puking in a bucket during his recovery period. He was able to finish the fight, and it went the distance seeing it declared a unanimous draw. 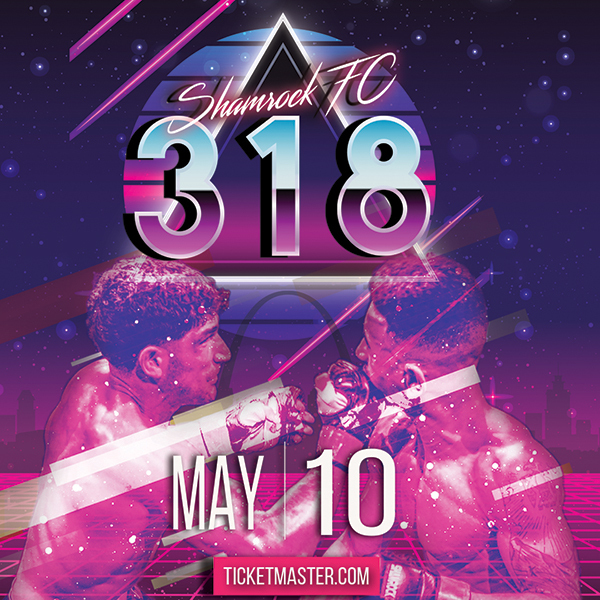 Up next for Shamrock FC is return to the River City Casino on September 11th for Fuel.